So, as some of you may know I embarked on a slightly rigorous health/fitness challenge that few of you may think was a bit far fetched. 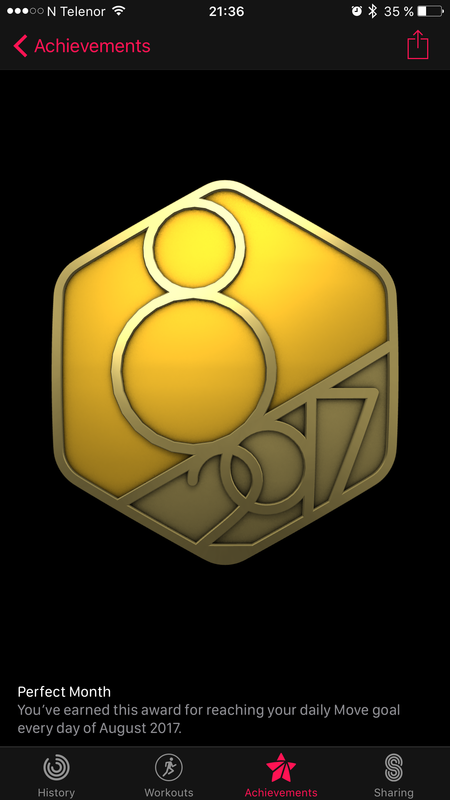 To recap, the August challenge consisted of getting the Perfect Month Badge on my Apple watch. 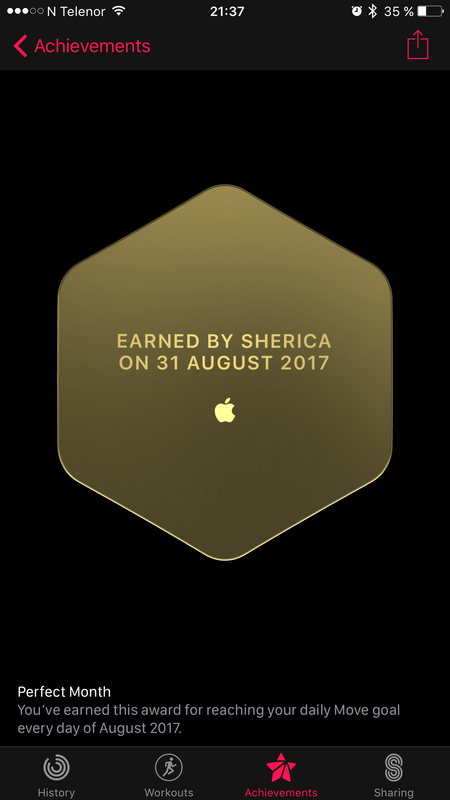 This is earned by reaching my daily move goal every day of a single month from the month’s first day to its last. 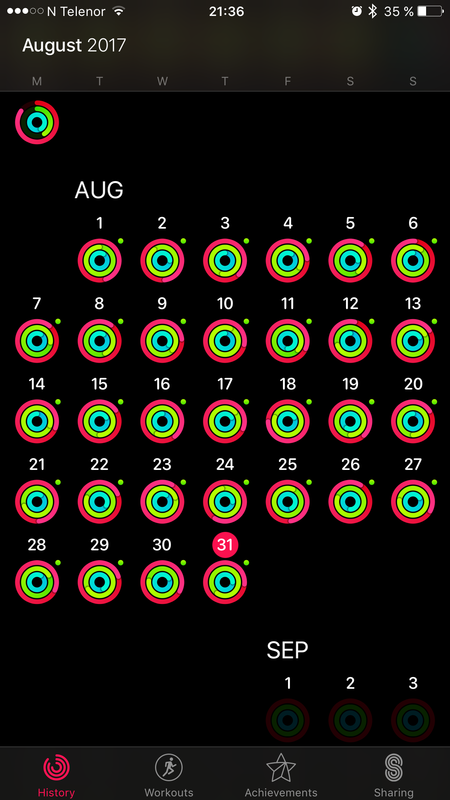 I also ditched meat, dairy, and alcohol (MAD) for the entire month of August. I lost a total of 12 pounds, and three and a half inches off my waistline Here are my results. The first week I did a detox which included a lot of fruits and veggies in any combination from plain raw fruit to smoothies or salads. The first week was probably the hardest week of the month but every week that followed became easier and more rewarding as the days went by. Since I took MAD out of my diet for the month, oatmeal, smoothies, and sauteed veggies were some of my meal options whereas raw fruit, nuts, and salads were some of my snack options. I have this thing for potato chips and was not ready to kick the habit, so kettle chips were my comfort snack now and then. Seriously y’all, I am literally going to turn into a big fat potato chip one day. Anyway, since September 1, I’ve had meat once and a lot of cheese and alcohol. I am a bit sluggish since adding dairy and alcohol back into my diet these past few days. I attribute this to the alcohol. I’ve also noticed a reoccurrence of acne which is probably due to dairy. I think it is easier to pinpoint the causes of change because I feel my body was virtually clear of toxins for the most part. I’ll admit I was afraid to loosen the reins because it’s so easy to pick up old habits when reintroduced to them. And, after 31 days of discipline, I didn’t want to throw all of my hard work out of the window. So what I’ve decided to change as a result of this challenge is to continue nurturing my body without meat and dairy. I will have alcohol every once in a while, but it will only be for special occasions. 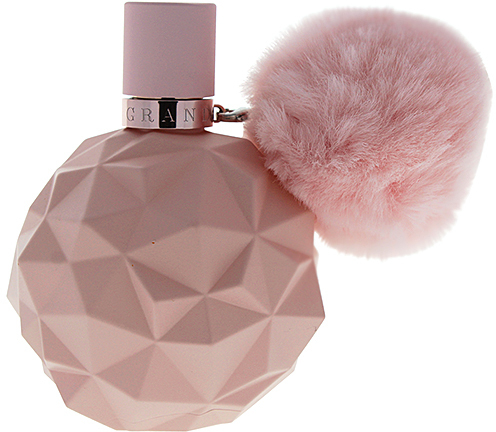 I just felt so much better physically and mentally without the consumption of MAD. Additionally, I felt more energetic, and my attitude seemed more positive than usual. As for the physical activity, I will never stop being active. It’s just a part of who I’ve always been. On August first I was thinking “what did I get myself into,” and by day 31 I felt invincible. Every day I came closer to the end of this challenge I started thinking of all the things I wanted to accomplish in my life and begin to use this challenge as fuel in keeping me dedicated to being the best version of myself I can be. Successfully completing this test reassures me I can do anything I put my mind to and I intend to do what is necessary within reason to be great. Stay tuned for the next challenge!! I will definitely check it out! Thank you!! Thanks for the reply. Keep well!